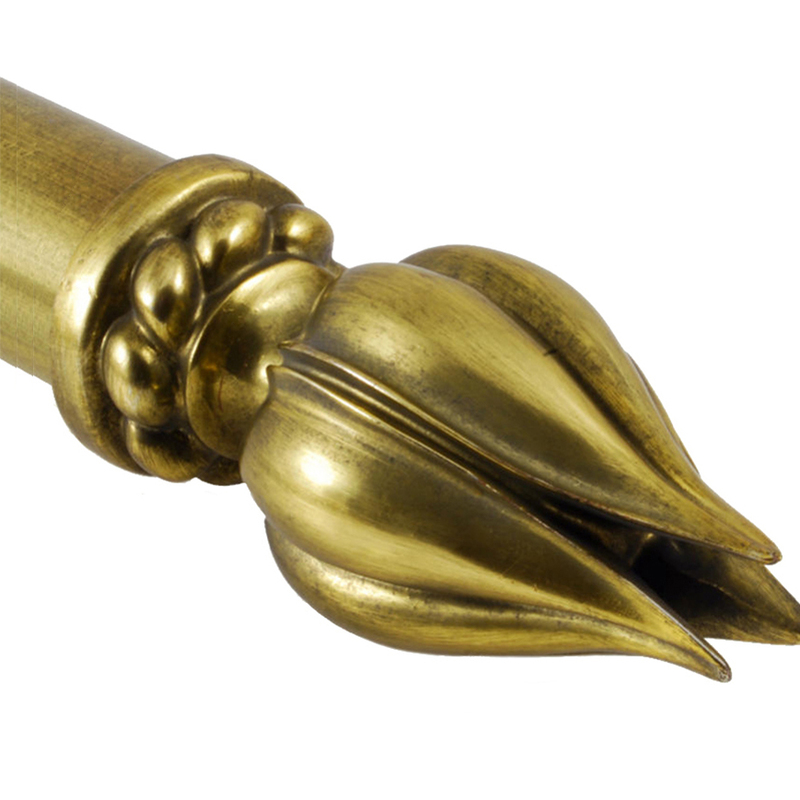 A luxurious hardware collection which adds elegance to extraordinary rooms as it embodies metallic brilliance by virtue of water-gilding. This unique ancient art entails artisans hand applying layers of gesso and red clay followed by a meticulous process utilizing water to aid in the application of the gold or silver leaf. Select areas are then polished to reveal portions of clay for an aged affect. Beautiful hand painted pieces in a rich dark walnut grain also complement the collection. Mix walnut and gilded pieces to achieve an upscale look. Versailles is a hand drawn system best operated by a baton. However, it is also possible to enjoy the conveniences of modern drapery automation. We can retrofit the Versailles pole to our Somfy® Glydea™ motorized track as a decorative fascia. Brimar’s motorization system makes any space stand out in terms of image and functionality. Our state-of-the art motor technology is ultra quiet and smooth in motion.